Furniture painting and refinishing can be quite intimidating when you’re first getting into it. The key though is to the right tools in order to get the best possible furniture makeover. 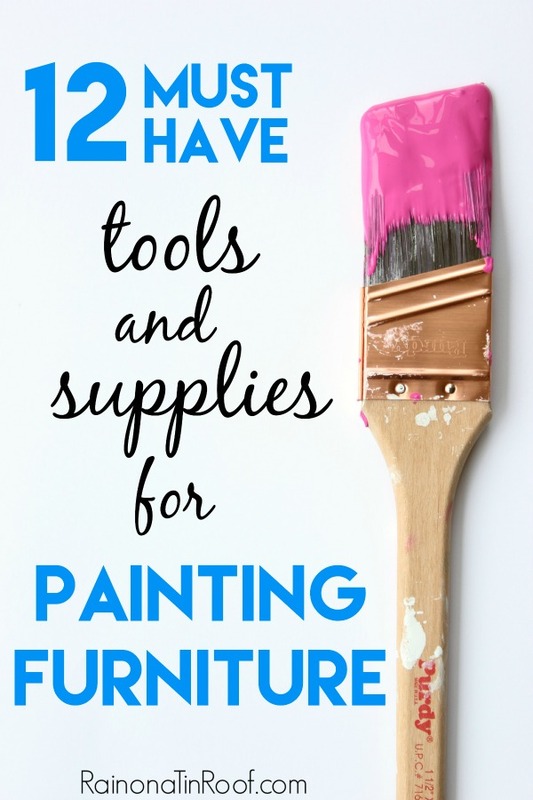 I’ve painted countless pieces of furniture and this is my list of the best painting tools for furniture refinishing. Last week, I got an email from a reader. They asked if I could do a post on what kinds of tools and supplies I use when I’m stripping, painting or refinishing furniture. So here it is. 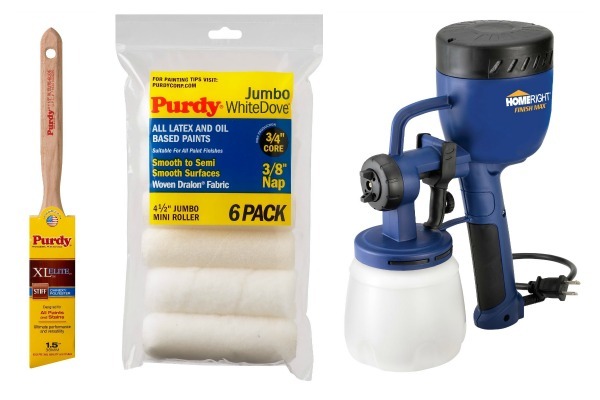 These are my must have products, tools and supplies for all your furniture makeovers. I’ve used these over and over again and they have continually proved their worth. *Affiliate links may be contained in this post. Safety first, y’all. Anytime I have to strip, sand or spray paint anything, I always wear a mask. While you probably won’t die from a few spray paint fumes, they certainly don’t help. 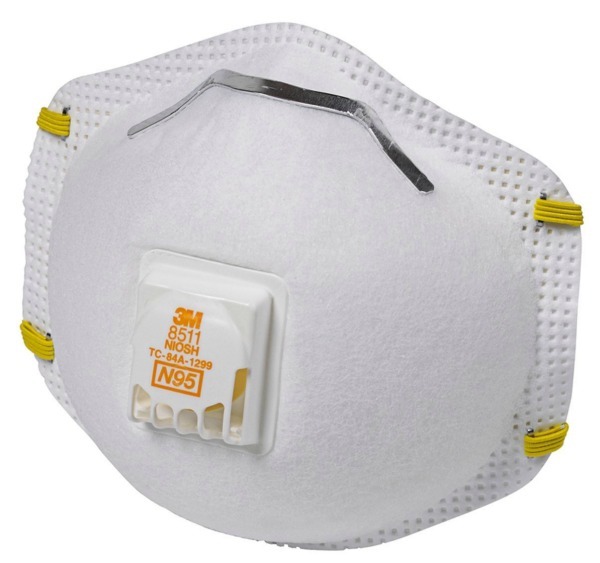 I typically use this kind of respirator (pictured above). Once you start painting a piece, you can usually take the mask off as long as you aren’t using spray paint. Masks do wear out over time. Once I see mine getting pretty dirty, I switch it out. If you’re dealing with an old piece of furniture, check to make sure it doesn’t contain lead. You can do this with a lead test. If it does contain lead, do not sand it. Either paint directly over it or get rid of the piece of furniture. If you have to remove paint or want to strip a piece down to the bare wood, I suggest using a heat gun. Using a heat gun to strip furniture is by far much less messier than using a liquid stripper. Here’s a tutorial on how I stripped and re-stained my buffet. I personally use and love my HomeRight Heat Gun. It also came with a good scraper and other shaped scrapers to get in nooks and crannies. If you do strip furniture, you are going to have to sand it lightly before painting or staining it to give it a smooth surface. 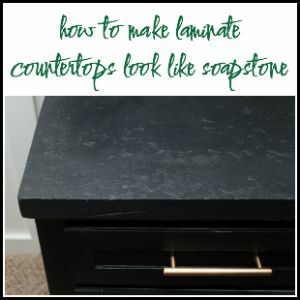 You can do this with plain old sandpaper or a sanding block or with a power sander. I usually use my power sander for this task. 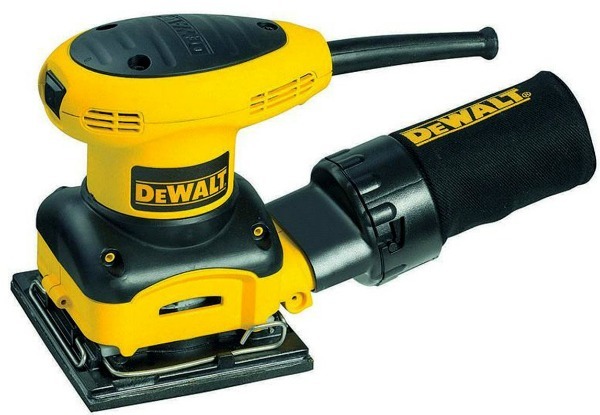 I have a DeWalt sander and it hasn’t failed me yet. In my opinion, it’s the best sander for refinishing furniture. Some people prefer a pointed sander, but I really love this one. Here’s a tutorial on how to use a power sander and what kind of sandpaper to use when. If you aren’t putting any kind of primer on your piece before painting it, its a good idea to give it a light sanding first to rough up the finish. This helps the paint better adhere to the piece. 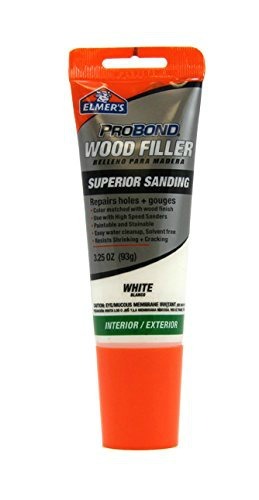 If you need to cover up old hardware holes, dings or scratches in your furniture, you are going to need wood filler. My personal favorite is Elmer’s Wood Filler. There is a full tutorial here on how to cover old hardware holes. I could sing the praises of tack cloths for days. 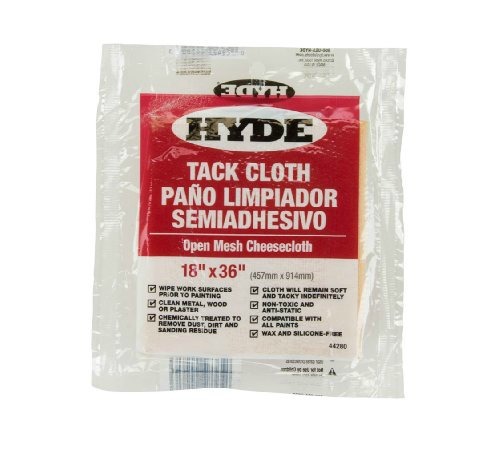 Tack cloths are sticky pieces of cheesecloth that pick up any dust or dirt on the furniture before painting. Before painting, always, always, always wipe down your piece with a tack cloth. This keeps any dust and dirt from messing up your finish. If you are painting something inside on floors that you care about, put a tarp or old blanket or sheet under the piece. While it is pretty easy to scrape paint specks off hardwood or tile floors, it does take time. If you are painting on top of carpet, please don’t skip this step. If you are using a regular latex based paint and don’t want to sand your furniture beforehand, I highly suggest using a good primer before applying your paint. Using a good primer will allow your paint to get good adherence to your furniture. 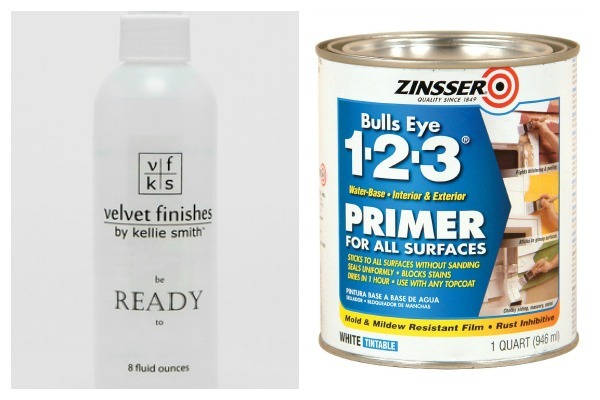 My picks for the best primers for furniture are Zinnser and Ready. 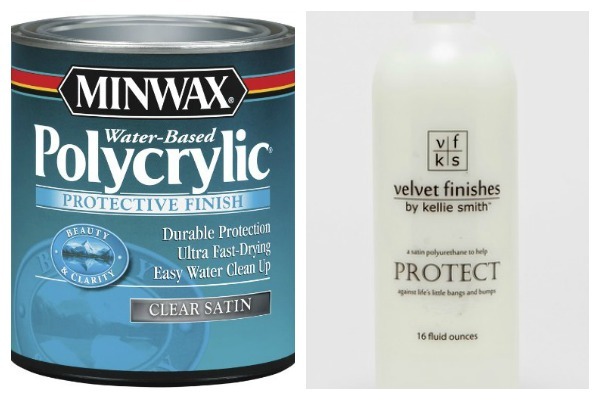 Anytime you are painting over a piece of furniture that has a glossy sheen, use a primer. Painting directly over a glossy sheen can cause your paint to adhere improperly. 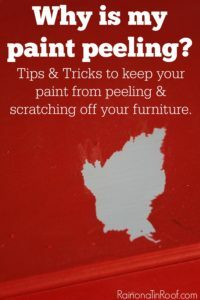 If you have more questions about primers, then read this post about priming and prepping furniture. If you plan to make any sort of pattern, design, or want to avoid getting paint on certain parts of the piece you are painting, be sure to use a good painter’s tape to block off that area. 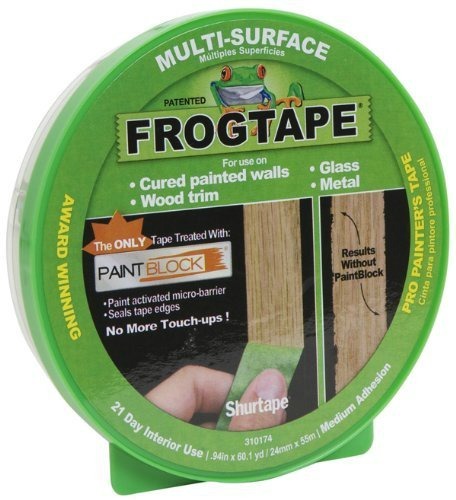 It’s no secret that FrogTape is my go-to painter’s tape. Its never failed me once. They also have a delicate surface version that can be used on freshly painted surfaces, a tape for painting textured surfaces, and patterned tapes in chevron, wave, and scallop. Your paint rollers and brushes can make or break your paint job. If you don’t invest in good, high quality rollers and brushes, you can be left with a finish that is full of fibers from the roller and hairs from the brush. My pick for best paint brush for furniture are Purdy brushes and my go-to rollers are these Purdy ones as well. A high quality paint brush will also minimize the brush strokes in your paint finish. If you want to decrease all chances of roller marks and brush strokes, go with a paint sprayer, which is what I usually do. My personal favorite is the HomeRight Finish Max. It’s easy to use and give a fine, professional finish. In you’re interested in learning more about the paint sprayer, read this post about how it works and how to use it. Obviously when painting a piece of furniture, you need paint. This is not the place to skimp. Always invest in a good quality paint for your projects. 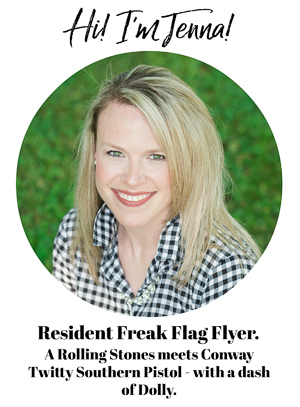 It will save you time, money, and headaches in the long run. 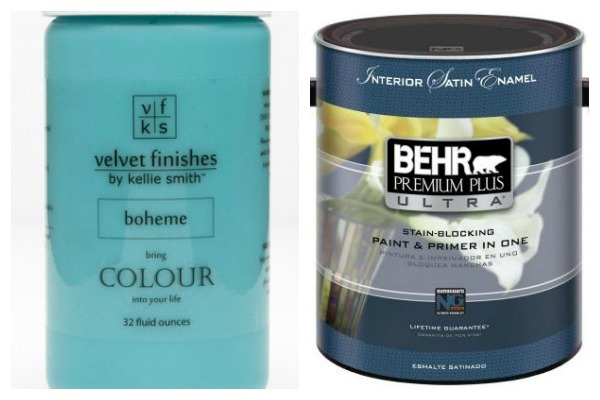 My personal picks for the best furniture paints are Velvet Finishes and Behr. 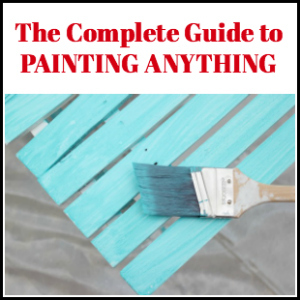 If you have more questions about specific types of paint and what kind to use on certain surfaces, read this post. After spending all that time prepping and painting a piece, it’s not a bad idea to protect it with a topcoat. My usual topcoats are Minwax Polycrylic or Velvet Finishes Protect. Topcoats are not always necessary on some pieces and with some paints. I’ve got a whole list here of different kinds of topcoats and when to use them. 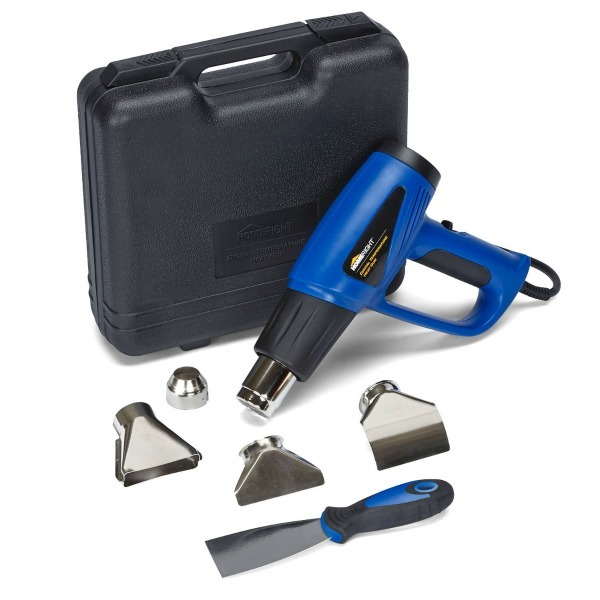 Do you have any favorite furniture refinishing tools? Jenna, this is a fantastic and helpful post… Quick question, have you ever tried to used the paint sprayer or Floetrol with an oil-based paint? Hey Jessica! I’m glad it was so helpful! Yes, the paint sprayer can be used with oil-based paint as long as it is thinned. I have not used Floetrol with an oil-based paint. If you look on the Floetrol bottle, it should say whether or not it can be added to oil-based paints. Hope that helps! Fantastic! This is great information to have. Thank you! Something I learned years ago is your paint job or any job is only as good as your tools and materials. That is SO true, Patty! I learned that the hard way! Nice round up. This is a darn helpful post – thankies! Thanks for sharing all of this advice when it comes to painting! I would love to paint over some old furniture, but I also want to make sure that I only end up painting the furniture, and nothing else. It looks like I need to start looking for some tarps to lay around the furniture! Thanks again for sharing this! Great post! I have an armoire to paint. It was painted with an oil based paint. I would like to repaint with latex. Do you suggest a primer first over the original paint? I don’t want to sand it all. Hey Sarah! So from my experience with oil based paint, you have to paint over it with oil based paint or sand it. I have heard that you can use a shellac based primer over it or an oil based primer and then paint it. 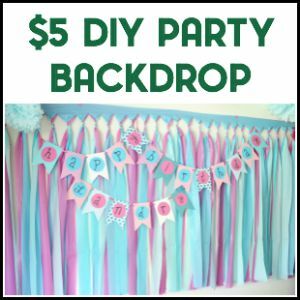 Could you use floetrol with chalk paint? I’m not sure, Becky. I’m not a big chalk paint girl. I would try it with a little bit and on a small section of whatever you are painting first. I use chalk paint quite a bit..If i want it thinner, I just use water. It works very well to smooth the lines. 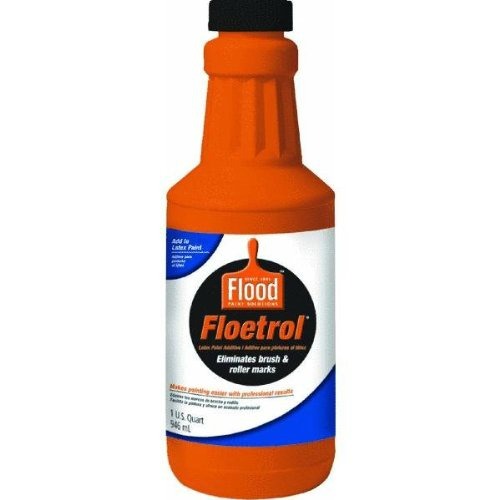 Floetrol is really a great product though..
What do you recommend as a seal for a piece of furniture that is done in a latex-based paint? Thanks! Hi Lois! Unfortunately, I have not used or heard of that paint before. I’m sorry!